MANCHESTER, N.H. -- Actor Alec Baldwin followed up his latest parody portrayal of President Trump with a serious call Sunday night for voters to use the Nov. 6 midterm elections to peacefully "overthrow" the government. 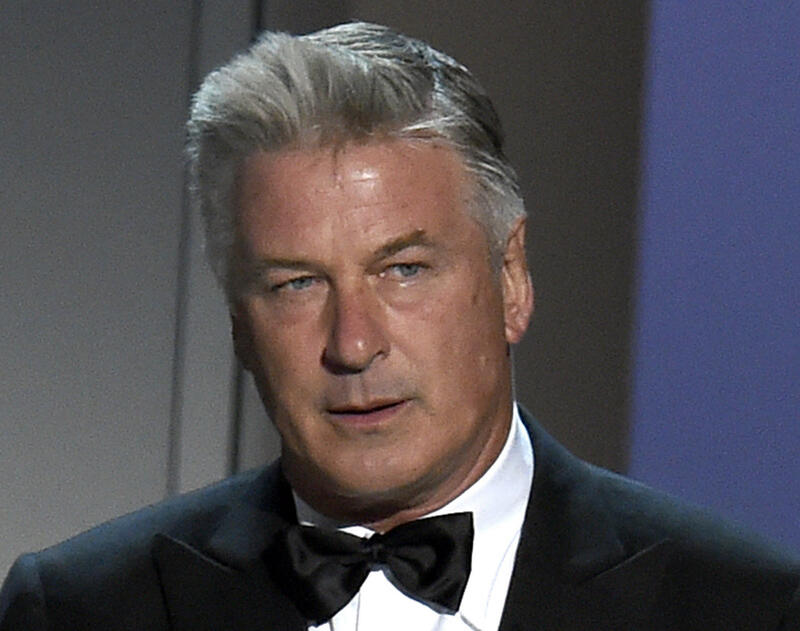 After reprising his role as the president on "Saturday Night Live," Baldwin flew to New Hampshire, where he was the keynote speaker at the New Hampshire Democratic Party's annual fall fundraising dinner. "The way we implement change in America is through elections. We change governments here at home in an orderly and formal way," he said. "In that orderly and formal way and lawful way, we need to overthrow the government of the United States under Donald Trump." "There is a small cadre of people currently in power who are hell-bent on continuing a malicious immigration policy that has set this country up for human rights violations charges by the global community. This cadre has looted money from the federal treasury and deposited it directly into the bank accounts of their most ardent political supporters," he said. He said Republicans "shrug" when it comes to gun violence, "spit in the face" at the rest of the world at the notion of changing outdated energy policies and offer neither hope nor solutions to people of color "who seek a decent seat at the American economic table but instead are issued a prison term, or worse, a bullet." The recent confirmation of Supreme Court Justice Brett Kavanaugh showed that Republicans view women as undeserving of the same constitutional protections as men, Baldwin said. "They themselves are sons, husbands, fathers, and yet when the time arrived in the thick of the #MeToo movement to set politics aside and establish that women's rights were more important than political expediency, they failed and it was ugly," he said. Several of the political leaders and candidates who spoke before Baldwin praised survivors of sexual assault who were moved to tell their stories during Kavanaugh's confirmation hearing, saying they should inspire others to speak up and advocate for issues they care about. "People raising their voices and sharing their experiences is what has been critical for our democracy and our capacity to move forward throughout our history," U.S. Sen. Maggie Hassan said. "As difficult as the Kavanaugh battle was, those moments have been incredibly important and will continue to be as we move forward." "If we're not hoarse by the time the election rolls around, we're not doing our jobs or we're not paying attention," he said. "It's about raising our voices and what we're all about as a country." "I want to say to everyone, to the survivors who have come forward and those who have not, I believe you and you are not alone," Kuster said Sunday. Baldwin's appearance in the state that holds the first presidential primary came hours before the premiere of his new talk show. "The Alec Baldwin Show," which airs on ABC at 10 p.m., will feature one-on-one conversations with celebrities and cultural icons. But Baldwin said it won't be overtly political. Asked Sunday if he'd consider running for office himself, he didn't rule it out but joked that he did, his wife would likely divorce him.